We believe wine lovers around the world should be able to afford good pinot noir and chardonnay wines from Oregon. Our label provides delightful Oregon pinot and chardonnay at affordable prices well below what one would expect to pay for wines of this quality. Pinot Noirs are noted for their bright pinot colors, delicate fruit flavors, and lingering finish. 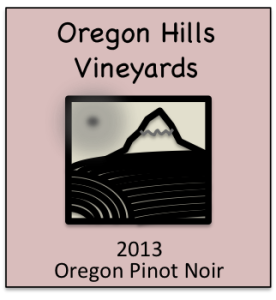 The 2013 Pinot Noir is a blend of grapes from three lower-elevation vineyards in the north Willamette Valley noted for producing grapes with stone fruit (peach, nectarine), berry, and spice flavors. As with all Domaine Verdant labels, the wine-making style: is one of minimal intervention. Then wine was aged 15 months in French and American oak barrels. Tasting Notes: Stone fruit up front, red summer berries and cherries in the middle, and spices on the finish. Lingering and satisfying mouth-feel. Alcohol 13%. Chardonnays offer a wonderful spectrum of chardonnay flavors, with generous tropical fruit and a spicy, lingering finish that are remarkable in any chardonnay – and truly extraordinary in a chardonnay at this price. 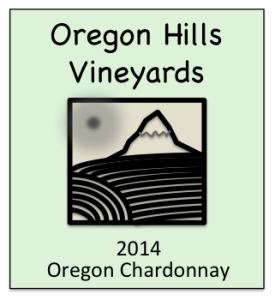 Originating in a higher-elevation Willamette Valley vineyard, our OHV 2014 Chardonnay was aged 10 months in French oak. Tasting Notes: Intense spice (starfruit, cloves, cinnamon) upfront, tropical fruit (mango, persimmon) in the middle, with a clean, lingering multi-spice finish. Alcohol 13.5%.